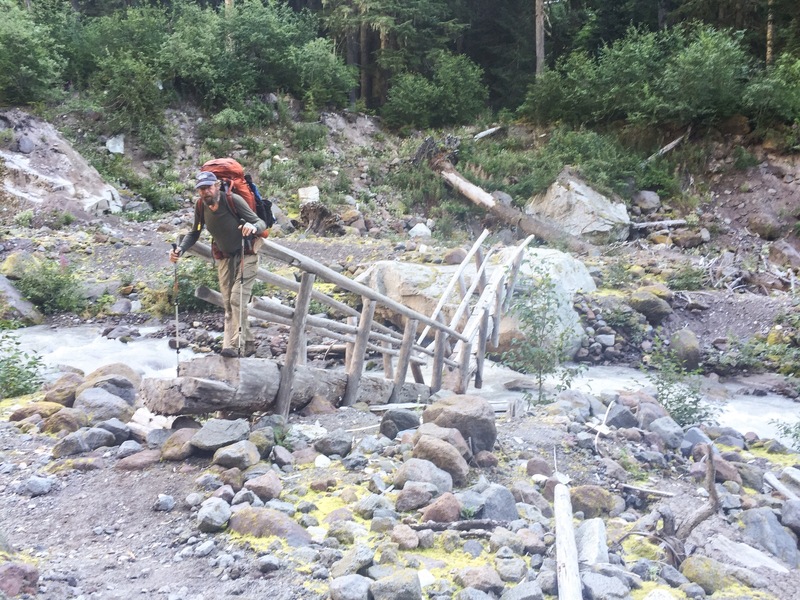 Washington is the Obstacle Course of the PCT; The fallen trees are everywhere, and the Trail Crews can’t keep up. This section seems worse than the ones south of here. 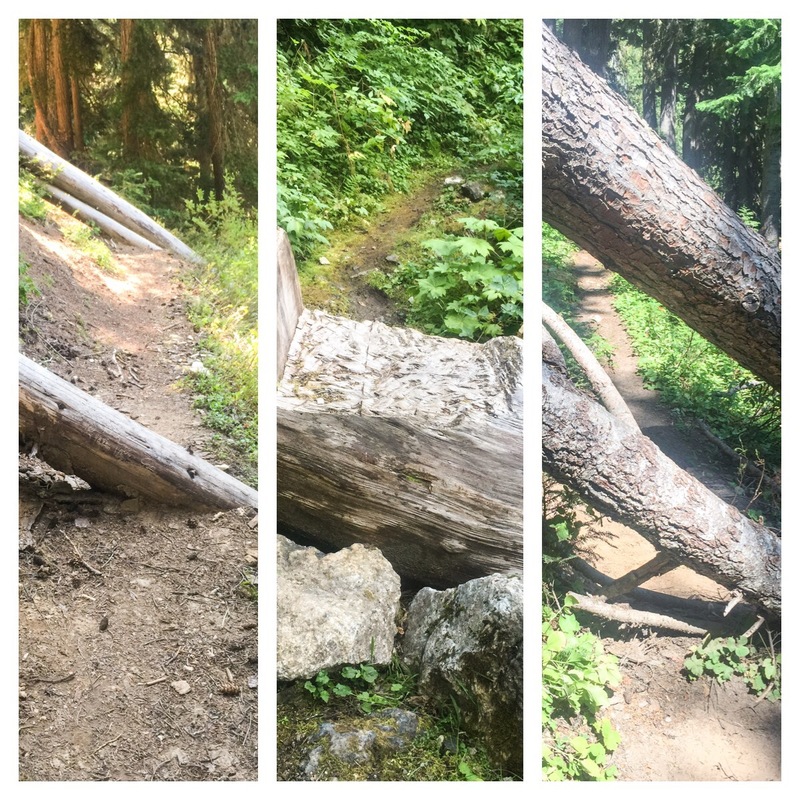 Someone with an Axe has been chopping foot-holds on some of the larger trees across the trail (3 ft and larger) so they are at least passable. The big topic is what bypass trail we will take around each fire closure. There are several fires, closures and work-around/bypasses. It’s constantly changing and very confusing. If it wasn’t for the estimated 1,000 people heading this way, I’m sure the Forestry Dept would have just closed the trail and walked away. So we’re lucky in a way that we have some support. As it is we won’t see the resort town of Stehekin. 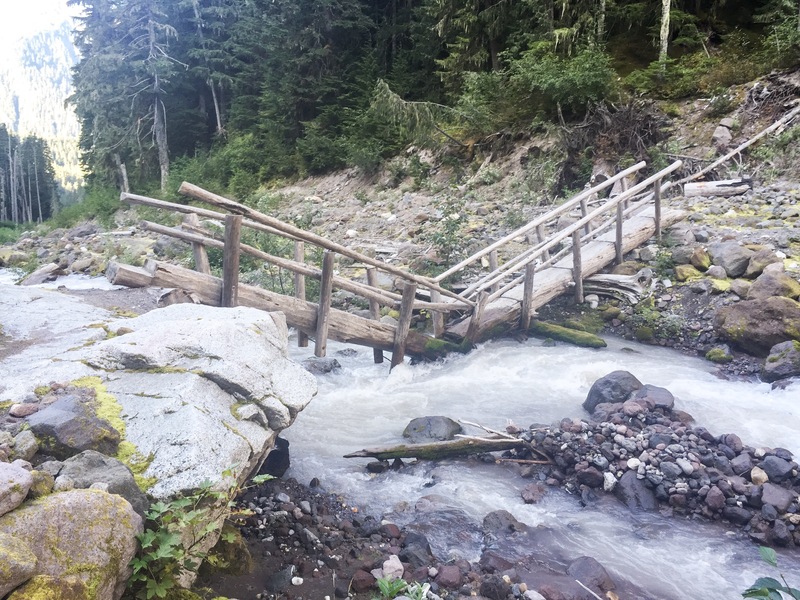 (One of the favorites of past hikers) It’s completely cut off by trail. 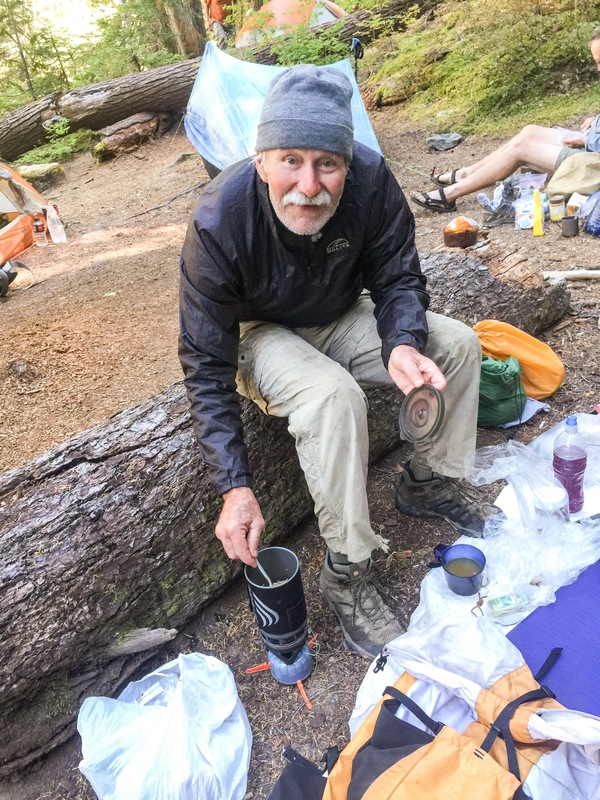 We sent our next resupply to a small mountain town of Darrington which is 30 miles West of the trail, and we have to depend on rides to get us there. This section is supposed to be 125 miles, but the first reroute, Suiattle River Trail, is just 76 miles from Steven’s Pass. It’s from this trail that we get to Darrington and then beyond to the final section. Here is an example of easy, moderate and complicated. There are 100’s of these. Showered, clean clothes and with our resupply picked up at the Dinsmore’s, we left at just after 7am to get back on the trail. The hitch took almost an hour, but we scored a ride with a nice girl that works at the Steven’s Pass Lodge. After eating, we were back on the trail by 10am. 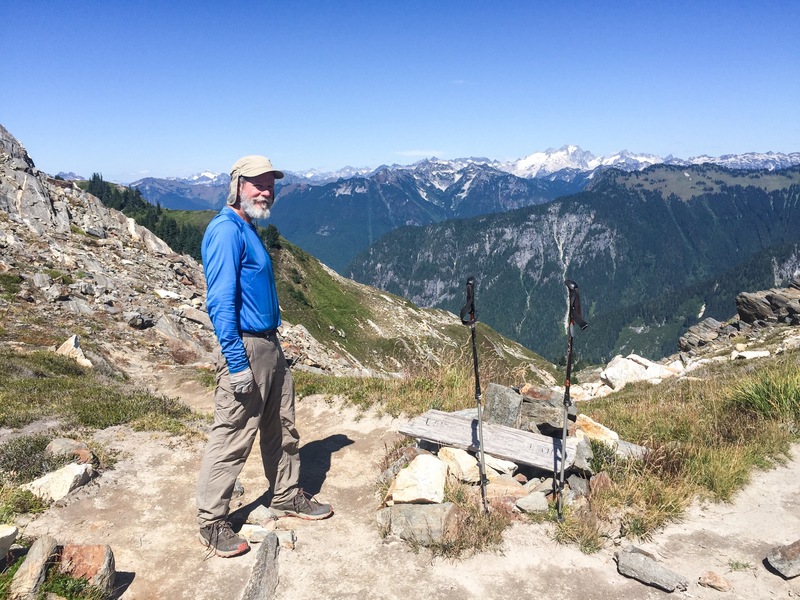 The trail was much nicer than out of Snowqualimi Pass, with the first 2 miles being flat. We haven’t seen much flat in the Cascades. We finally hit some hills and concluded the day at 10 miles staying at Janis Lake. Another damp, foggy, cloudy morning. The plants were very wet with dew, and while my rain coat and pants kept most of me dry, my shoes were soon soaked. My next pair of shoes will be waterproof/gortex. We’re done with the heat and getting into the rainy season. I need warm feet!!! We picked up more old-timers, two from Alaska. (Different parts) Garage Man, Mountain Mike and Bill. We all clocked in 15 miles and stayed at Pass Creek. The day was clear and stayed wonderful all day. If it wasn’t for the smoke from the fires obscuring the mountains, it would be perfect. The four of us finished a tough 4,500 ft uphill, 17 mile day and we stayed by a nice creek. The views of Glacier Peak after summating White Pass and coming down a long valley were awesome. Another hard day with almost 5,000ft of uphill in 15 miles. We went into and out of a watershed and over another pass into another watershed, Milk Creek, fed by the Milk Glacier. The views, however were worth it. The wind finally blew the smoke out (southward) and we could see the distant peaks. 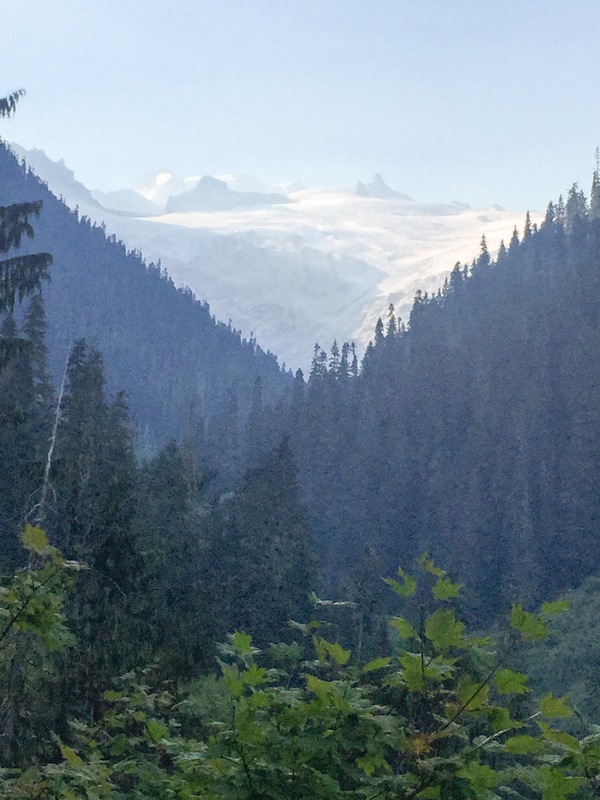 The Cascades, with their many Glaciers are truly amazing. 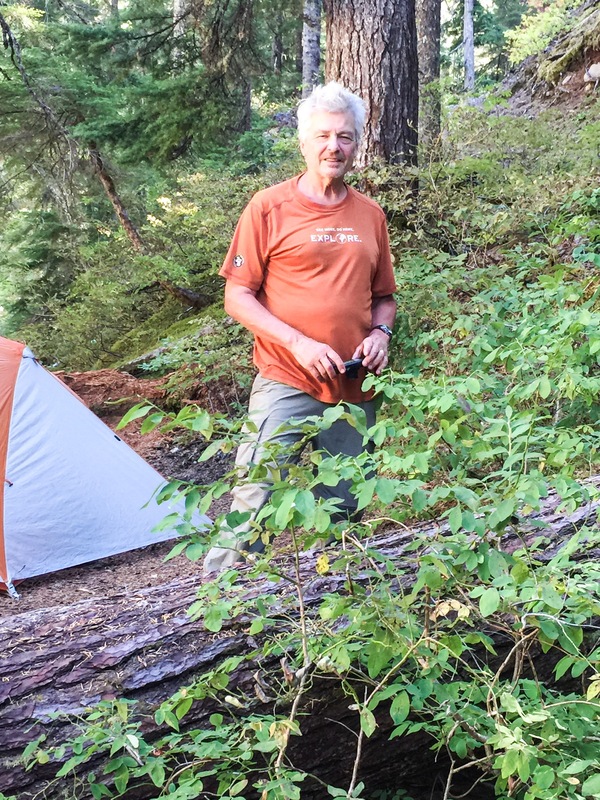 We said goodbye to Glacier Peak and it is now behind other hills and made camp on a beautiful hanging lake, Mica Lake, high on a ridge. Crossing the Milk Creek watershed took half a day. Once over the crest, we have the huge downhill into the Vista Creek canyon where we camped. This was a tough day with 6,000+ft of downhill, made tougher by the downed trees. The trail is so poor that all of us are falling. Turtle was caught by a root and went down head first off the trail. Lucklly he didn’t go far and he isn’t hurt too badly, however his glasses flew off and we couldn’t find them. I’m still hurting from several days ago when I bruised a rib or pulled a diaphragm muscle. The day left me exhausted. All in all, not one of our finest days. 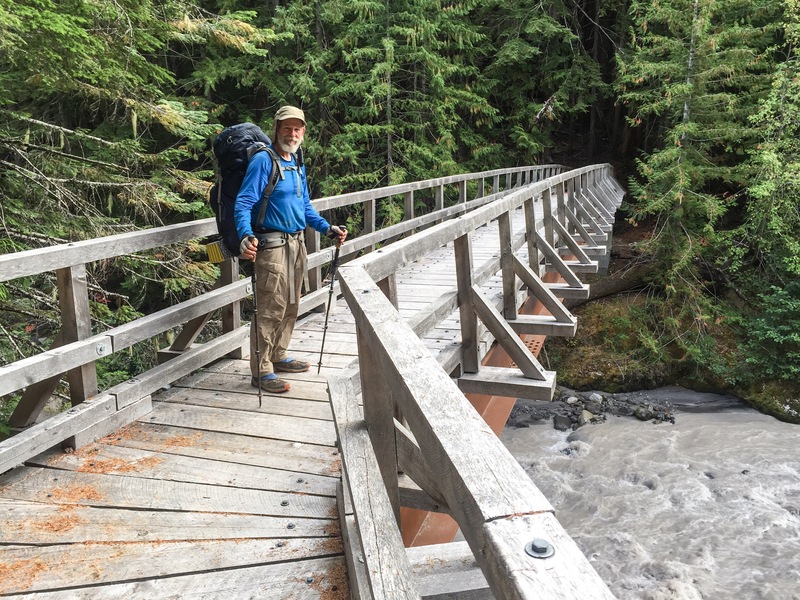 We did hear some good news: the trail north of Rainy Pass to the Canadian Boarder is back open!!! 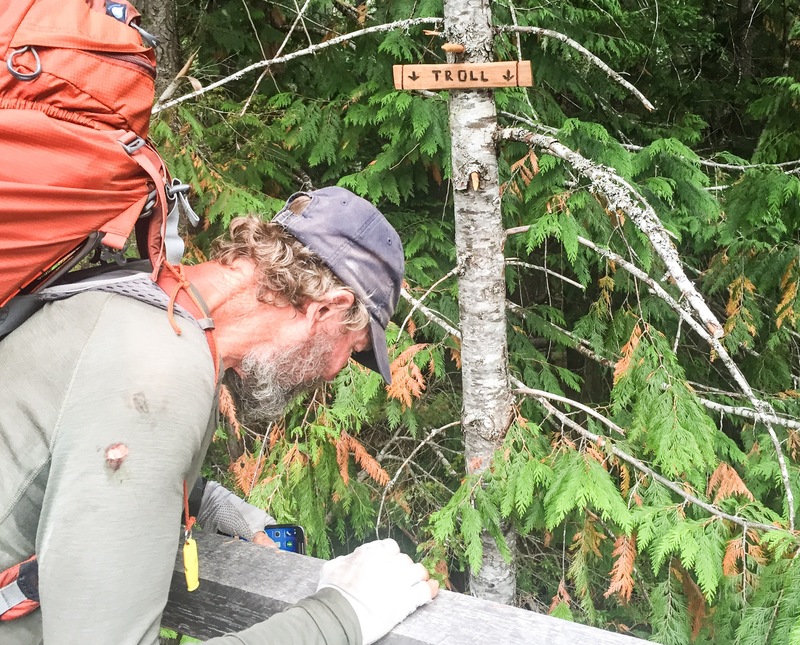 A thru hiker heading south gave us the news. We were all elated because the goal, Canada was in sight! Then we heard the “Bad News”: HWY-20 is closed due to the fires, and won’t be open for days or even weeks. 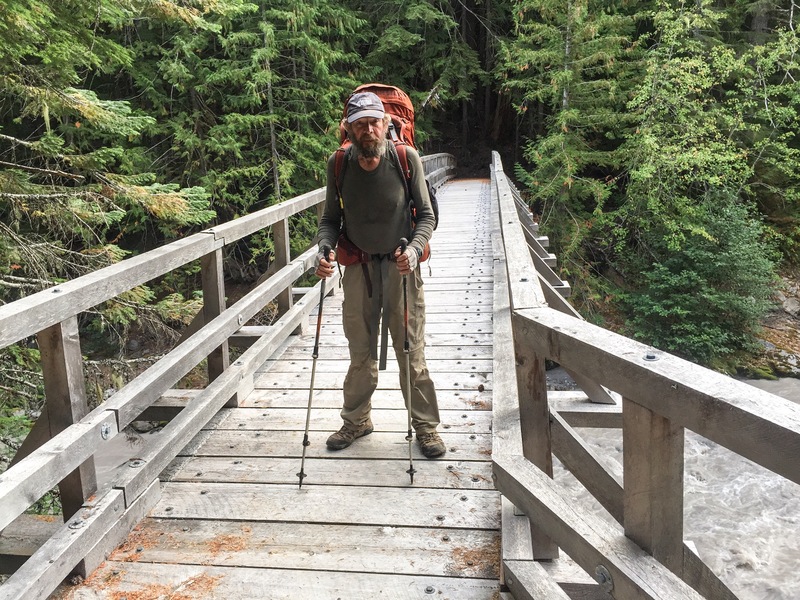 So we cannot get to the PCT now! 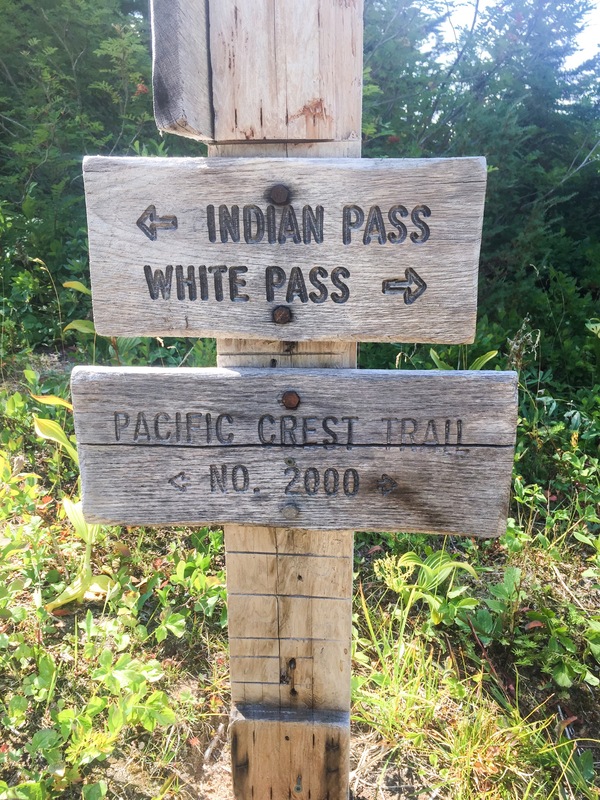 On Facebook, people said the trail north of Rainy Pass is closed again due to smoke. Sigh….we give up. For now. We are taking a bus to Arlington, then possibly on to Oregon. Good luck up there. I’m just leaving Cascade Locks, but its not looking good north of Stevens Pass, but things are changing daily, even hourly. Too true! It may be open when you get there. Good luck! 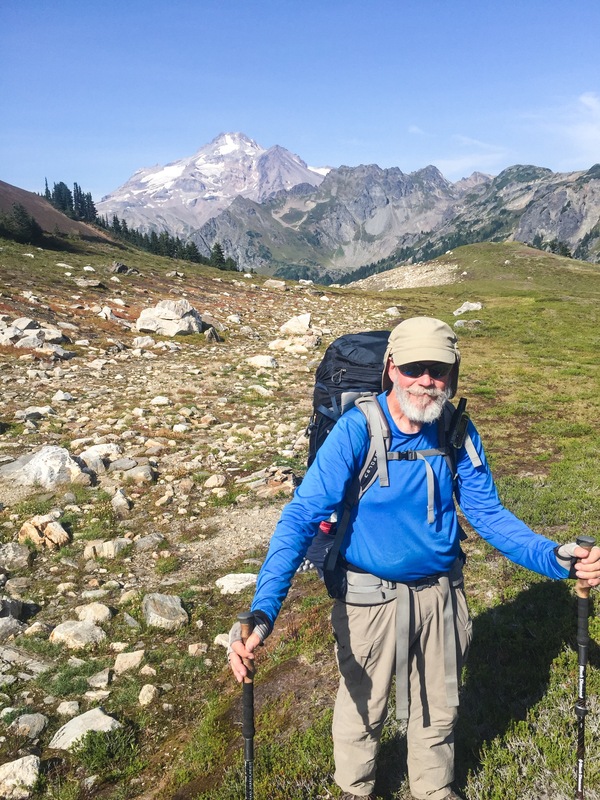 Can you hike Cascade Pass over to the PCT then head north from there? Not sure where Cascade Pass is. Most of that area is closed due to smoke and Fire activity. Michael, what a journey you have been through! You are relentless in your pursuit. 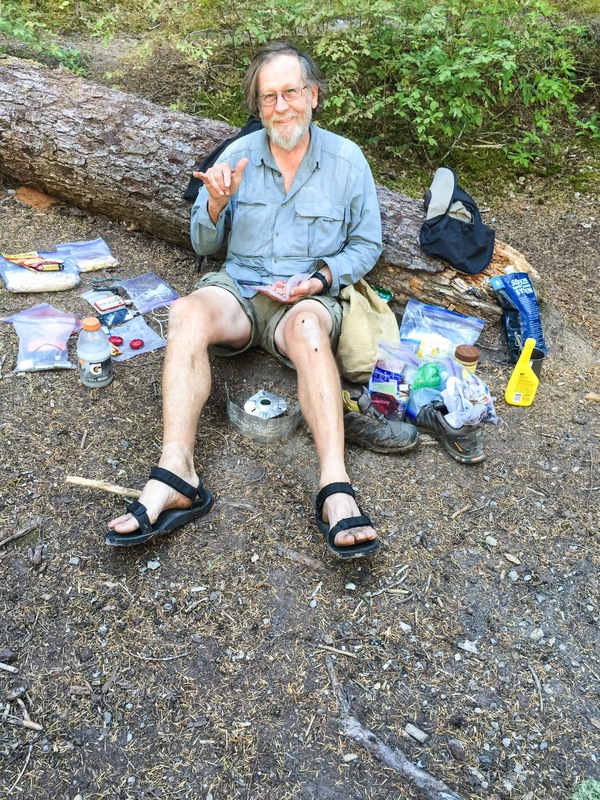 I hope you enjoy some of that Oregon PCT! Take care my friend. John.